As of today, 39 years have passed since the first human set foot on the Moon - and more than 35 years since the last human set foot there. This last fact is more than slightly dismaying, with its lurking hint that the appropriate analogy may be not Columbus but Leif Erickson. According to a surely apocryphal story, some Norwegian-Americans once raised a ruckus at a Columbus Day celebration in New York City, leading a local Italian-American pol to observe that 'when Columbus discovered America, it stayed discovered.' So far, the Moon has not stayed explored. We are scheduled to go back by 2020 or so - I'm not sure of the exact timetable, and both the proposed technology and the level of commitment are more than a bit doubtful. 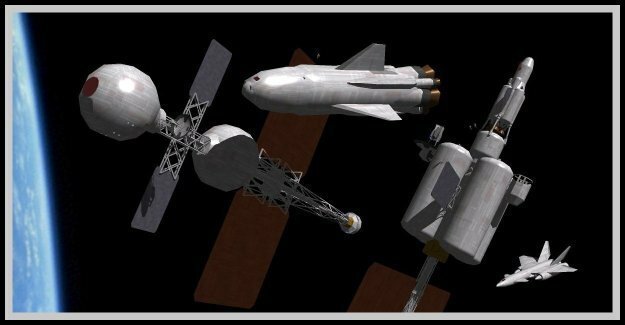 Is anyone really backing it apart from the human-spaceflight shop at NASA, and the contractors who hope to build the hardware? And, to step toward the heretical, should we go back? There is a non-trivial argument to be made that human spaceflight - as opposed to robotic exploration - is an idea whose time came and went. In the rocketpunk era no one dreamed of anything else; by oddest of irony the technology of robotic space exploration is itself a product of the space age. In Heinlein's Space Patrol, published in 1948, the first human mission to Venus crash-lands there in 1971 - and it is indirectly but pretty clearly implied that no robotic probe preceded it. In the real space age, Mariner 2 made its flyby of Venus in 1962, revealing Venus for the Dantesque hell it is, with no swamps and certainly no Venusians. Even in the space community, no one now imagines us ever exploring Venus other than robotically; it just isn't worth going there in person. On the other hand, for really serious research work nearby human supervision is more convenient than managing everything from a distance. I put it in that rather weaselly way for a reason. Robots, at least in any form we can readily foresee, are tools - not substitutes for human intelligence, but extensions of it. Carrying out complex operations on or near Mars, when Mission Control is between six and thirty minutes away due to round trip light lag, sooner or later becomes wretchedly awkward. Put another way, even from a pure green eyeshades perspective a point will be reached where it is cheaper to send some humans who can work in real time, instead of planning every move minutes ahead or programming in advance against every contingency. Stepping back, our progress in space seems disappointing largely because the rocketpunk era and the opening years of the space age set us up to expect too much too quickly. Rocketpunk writers - especially Heinlein - greatly underestimated the complexity of spaceflight, and therefore its cost. Their mistake was concealed for a decade by the giga budgets of the Space Race. Contrary to what Heinlein, especially, might have imagined, government can do astonishing things if it throws enough money at a problem, and we threw enough at the Moon to get there in less than a decade. Clarke made more conservative assumptions than Heinlein did. In his novel Prelude to Space (1951) he pegs the first human suborbital flight to about 1960, close to the mark, but the first orbital mission is a decade later, and I seem to recall that in one of his short stories the first lunar expedition - admittedly a big one, departing from a space station - is in 1990. The Space Race compressed the early rounds. Absent the big political push to be first on the moon, we might well be just about where we are now, but with a sense of steady progress rather than triumph followed by anticlimax. Thanks to the robotic program we have made a more thorough preliminary reconnaissance of the Solar System than even Heinlein might have imagined by this early date. The Shuttle has been a genuine disappointment, though for reasons ultimately more political than technical - the designers did their best, but could not overcome the excessive requirements forced on them in the early 1970s. Yet we have a space station, with a crew continually on board since 2000. It is not the classic bike wheel design (absence of artificial gravity, alas, making for some very unhappy toilet conditions), and it has a much smaller crew than rocketpunk space stations did. This is the real face of automation - 'manning ratios' are much lower than imagined in the rocketpunk era, largely because no one is replacing burned-out vacuum tubes, let alone peeling potatoes in the galley. As for the future, the rocketpunk Solar System is gone forever, a victim of space exploration. In the next few posts, I'll speculate a bit on what the human presence in the real Solar System might look like in the course of this century and the next. I believe that the next big push into space will be by corporations; a mixture of profits and wanderlust being their motives. Research bases, mineral extraction, mantainance contracts for habatates, and all kinds of projects we can't imagine yet; there are many reasons people would leave Earth. Reasonablly low-cost launch to orbit would spur more companies to expand into space. You may well be right about the Space Race having compressed several decades worth of technological advance into one. I'd argue that public enterprise is often more adventurous than private enterprise, because politicians can get re-elected by doing exciting things, not just profitable ones. Carla - throwing lots of money at a problem sometimes works! As you pointed out before, Clarke and others predicted man in space because we would need manned space stations to access the lucrative promise of communication satellites. They did not predict the advances in microelectronics that would allow unmanned communication satellites. Maybe not large or established corporations, but small start-ups (or upstarts) that need to rely on extreme innovation and risk-taking. People who are willing to pave the way for others who do have a profit motive. Sorry if I didn't make that distinction clear; it was only after I reread my post that I reallized that I hadn't been clear. Ferrell - when the 'entry cost' (literally, in this case!) comes down, the private game will change a lot. Broadly speaking, I'd guess, when the up front cost of a space startup is $ millions rather than billions. Overall, though, I have a feeling that the things we end up doing in space will be quite a bit different from the rocketpunk vision of half a century ago. I hope to have something up to start that discussion, later today! Well, things aren't going to be like they were in Lucky Star, or Captain Video, but it will still be pretty cool. I can't image anything more exciting than visiting another world. Agree. Exploring the real Solar System in this century will be quite different from what was imagined in the last century. In fact that is the theme I mean to start developing in my looong delayed next entry - it has been sitting nearly finished but not quite, for about a month now. Maybe I'll finally post it today! The lake effect storm machine is slowing down... a little. We were able to get down to Syracuse yesterday for the swimming sectionals competition. It felt like driving from the Arctic to Virginia. Mexico, Parish: mountains of snow. Central Square: hills of snow. Cicero, Liverpool: some snow. Syracuse..... not so much.